Mt. Aaron Missionary Baptist Church will be in front of the City Planning Board Monday afternoon with its plan for Mt. Aaron Village. It is a $15 million mix of apartments of varying sizes and townhouses. Pastor Dwayne Jones says he plans to start building in March and it will take about a year to get all of this done. He is building on credibility from his seniors project, Mt. Aaron Manor next to the church. Jones says he is taking advantage of that vacant land adjacent to the church on adjoining streets, off Genesee Street. "I look at it like this: If I can build senior citizen housing, expand the church, bring infrastructure back, my method is very simple, one block at a time," he says, "and this is moving on to the next block." "I am actually looking at a working class, middle class, older class, I have room for every area of a person's life," Jones says. "I'm looking for seniors, looking for middle class, looking for people that want respectful clean housing." If the Community Action Organization has its way, Buffalo will be getting a new housing project and a new neighborhood name on the city's East Side. 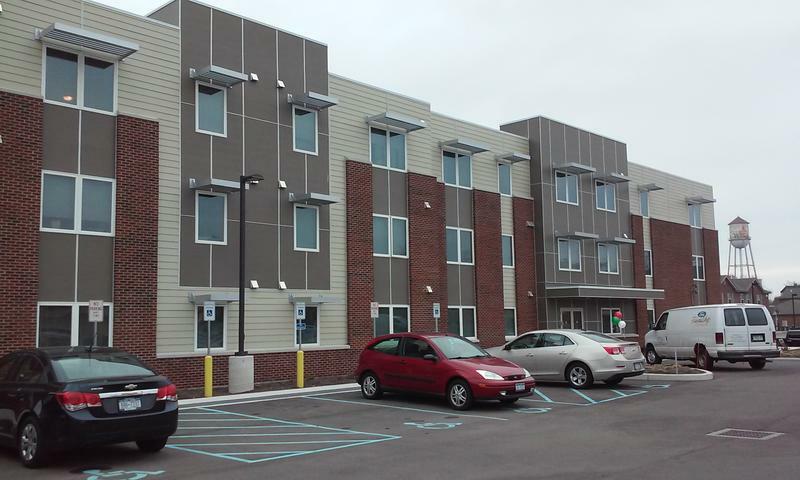 Public and elected officials were among those celebrating the success of a senior housing complex on Buffalo's East Side Friday, a building that will soon reach 100% capacity. A proposed housing development on Buffalo's East Side may take a big step forward Tuesday.